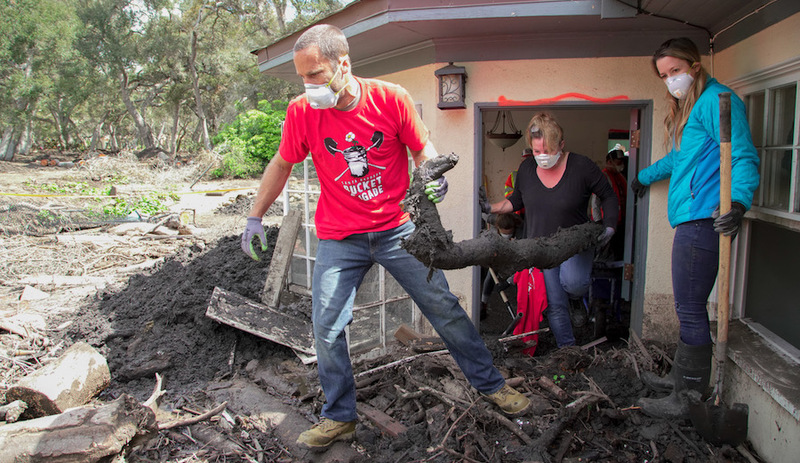 This winter, the world watched as things went from bad to worse for the communities of Ventura and Santa Barbara. In December, the Thomas Fire ravaged the coastal hillsides scorching an area larger than the cities of New York, Washington, D.C., and San Francisco combined. Adding injury to injury, heavy rains caused deadly mudslides in the Santa Barbara County city of Montecito, temporarily shutting down Highway 101 – the region’s primary thoroughfare – for a spell. And while the flames have subsided, the debris has mostly been cleared, and news cameras have moved on to the next crisis, there is still work to be done. And at a recent concert, Jack Johnson and other musicians raised more than half-a-million dollars for the recovery effort through a benefit show called Jack Johnson & Friends – a Benefit for the Community. According to the release, more than $200,000 of the funds raised will go directly to the United Way Thomas Fire and Flood Fund which supports impacted individuals and communities. The rest will be allocated to local relief efforts including organizations like Direct Relief, Santa Barbara Foundation, Foodbank of Santa Barbara County, FOOD Share, Search Dog Foundation, Greater Goods, Habitat for Humanity, Santa Barbara Response Network, Santa Barbara Bucket Brigade, Explore Ecology, the SB Support Network, and more.